Aerpro has 12v, 24v or 240v compatible chargers for your devices ranging from 0.5A to 3.4A. Filter by "connector type" to narrow your search. 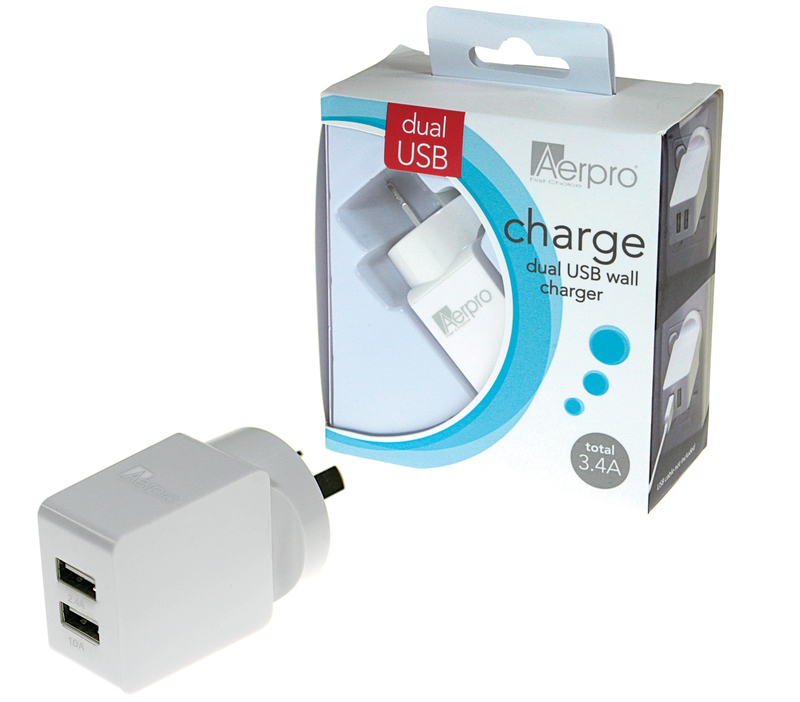 The Aerpro 240V USB Charger features a high powered dual output USB charger that will charge two USB devices at the same time without the need for a computer. It is ideal for charging MP3 players, portable GPS, PDAâ€™s, cameras, iPads, iPhones, Android devices, tablets and most other smart phones."